Swimming Starting with the first and best triathlon discipline, swimming (Angus rolls his eyes). 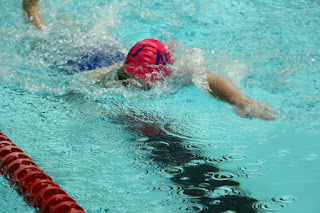 We’ve been swimming for Leander Swimming Club and really enjoying it! It’s been a great way to get us back in the pool regularly after our non-existent winter training. I think even Angus will agree that we’ve both found our love for the water again and are starting to see some speed again. We’ve been fitting in between 3 and 5 swim sessions a week ranging between an hour and an hour and a half. After exams are out the way we want to up that to 5/6 sessions a week in the pool and start doing some longer swims including some open water swimming too! Over the last couple of weeks Angus and I were lucky enough to have the opportunity to try Battle Oats products in between our training. For those of you who haven’t heard of Battle Oats, they are an energy snack which are 100% natural and gluten free. Angus and I have tried the Battle Oats flapjacks and cookies after training and also as snacks to sustain energy through the day. I especially have a very sweet tooth, so to aid with my training finding tasty natural snacks to graze on would really help improve my performance. We were both given one of each new flavour to try each so Angus and I have reviewed the flapjacks out of 10 and a quick review on why. Less than two weeks to my first event of the year so it’s time to for an update post! 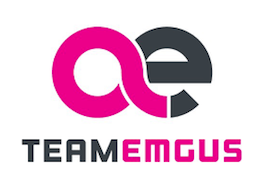 Firstly, if you haven’t already heard through my social media accounts, Angus and I, after meeting through triathlon in 2015 and falling in love while training and racing together, are now creating our own triathlon couple team, ‘Team Emgus’, making us a unique power couple! 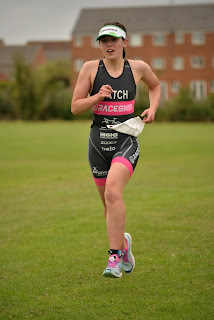 In the lead up to Worlds Angus and I entered Market Harborough Sprint distance triathlon as a bit of a warm up having not raced since the 1st July. The race was on Sunday 3rd September and was a very late start of 3.34pm for both Angus and I. It was weird waiting around all morning to race, definitely prefer racing in the morning so you have the rest of the day to do other things. We arrived at 2pm to give us plenty of time to register and set up transition with some spare time afterwards to relax in the leisure centre out of the rain and wind. 3.34pm soon came around, it was the final wave of the sprint distance event. Angus and I were put in lanes next to each other so it was nice and easy to race each other, just like we do in most swim sets (I usually win 😂💪). I had 3 swimmers in the lane before I started and they were all swimming slow, so I knew it was going to be a frustrating 400m.